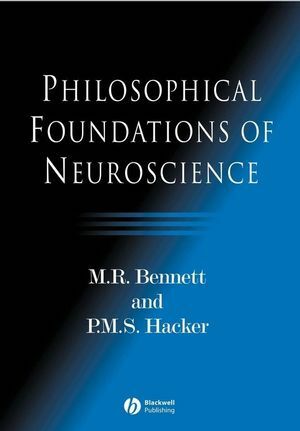 Part I: Philosophical Problems In Neuroscience: Their Historical and Conceptual Roots:. 1. The Early Growth Of Neuroscientific Knowledge: The Integrative Action Of The Nervous System. Aristotle, Galen And Nemesius: The Origins Of The Ventricular Doctrine. Fernel And Descartes: The Demise Of The Ventricular Doctrine. The Cortical Doctrine Of Willis And Its Aftermath. The Conception Of A Reflex: Bell, Magendie And Marshall Hall. Localizing Function In The Cortex: Broca, Fritz And Hitzig. The Integrative Action Of The Nervous System: Sherrington. 2. The Cortex And The Mind In The Work Of Sherrington And His Proteges. Charles Sherrington: The Continuing Cartesian Impact. John Eccles And The ‘Liaison Brain’. Wilder Penfield And The ‘Highest Brain Mechanism’. 3. The Mereological Fallacy And Its Manifestation In Contemporary Neuroscientific Thought. Mereological Confusions In Cognitive Neuroscience: (Crick, Edelman, Blakemore, Young, Frisby, Gregory, Marr, Johnson-Laird). Methodological Qualms: (Ullman, P.S. Churchland, Blakemore, Zeki, Young, Milner Squire And Kandel, Marr, Frisby, Sperry). On The Grounds For Ascribing Psychological Predicates To A Being: (Crick, Baars). On The Grounds For Misascribing Psychological Predicates To An Inner Entity: (Damasio, Edelman And Tononi, Kosslyn And Ochsner, Searle, James, Libet, Humphrey, Blakemore, Crick). Privileged Access: Direct And Indirect: (Blakemore). The Meaning Of Psychological Predicates And How They Are Learnt: (Searle). Of The Mind And Its Nature: (Gazzaniga, Doty). Part II: Human Faculties and Contemporary Neuroscience: an Analysis:. Brain-Body Dualism: (Kandel Schwartz And Jessell, Libet). The Category Of The Psychological: (Nagel, P.M. Churchland And P.S. Churchland). Sensation: (Searle, Libet, Geldard And Sherrick). Perception As The Causation Of Sensations: Primary And Secondary Qualities: (Kandel Schwartz And Jessell, Rock). Perception As Hypothesis Formation: Helmholtz: (Helmholtz, Gregory, Glynn, Young). 10. ‘... impressively lucid ... Bennett and Hacker unquestionably succeed in making us challenge our own concepts, examine them for dross, and strive to home in on fundamentals.’ Neil Spurway, Journal of the European Soc for Study of Science and Theology.